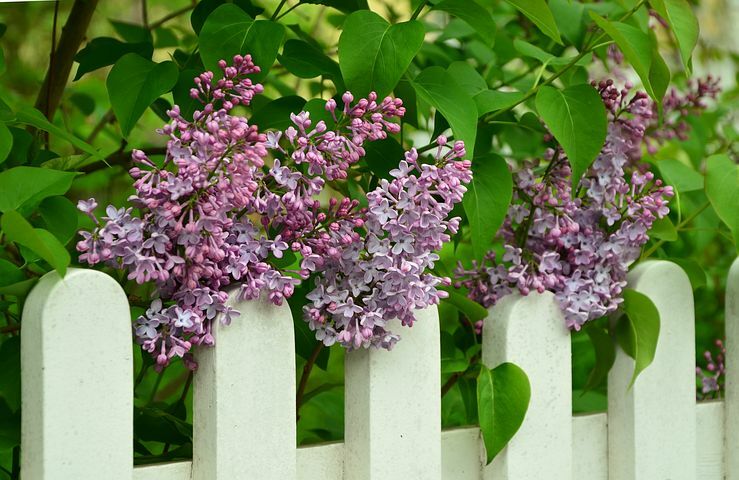 Was your lilac stingy with flowers this year? Perhaps it has grown so high that the flowers were way out of nose reach, or the shrub is a congested mass of branches. If the answer to any of those is yes, now – this month – is the time to prune your lilac, to ensure you get flowers next year. Lilacs (Syringa) set buds for the following year soon after their spring bloom, within about three weeks after their flowers have died. 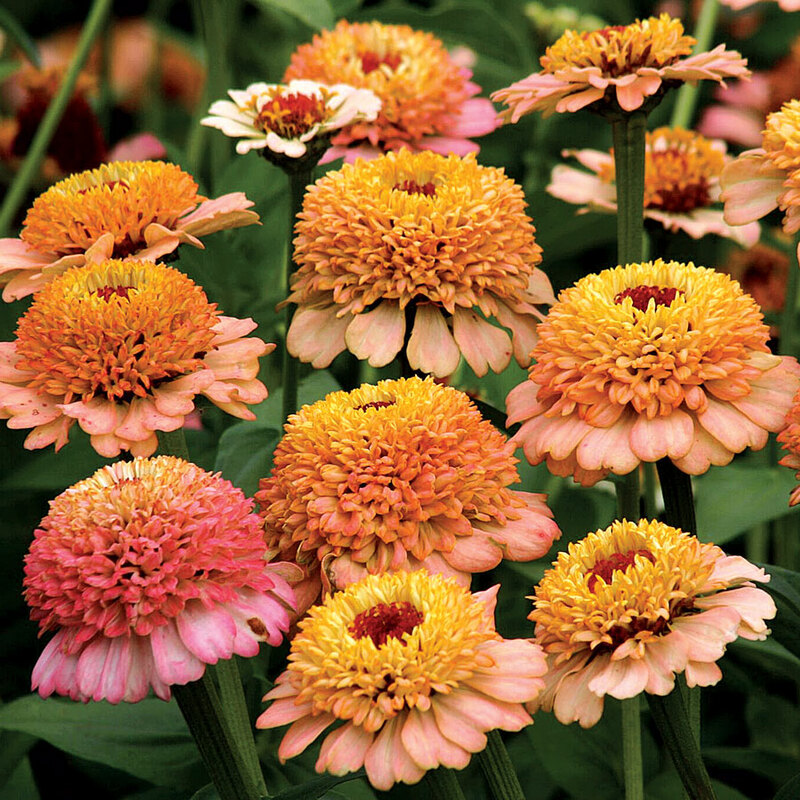 Wait too long to prune and you'll be cutting off next spring's flowers. Lilacs are tough, so as long as you are willing to miss a year of bloom, there's no time of year when pruning will harm the shrub. But since those gloriously fragrant flowers are the reason for the plant's appeal, pruning late is self-defeating. Take out any dead stems, ones that look diseased, or ones that are rubbing together and wearing away the bark. Cut from the base, or at the crotch of a branch, where two branches meet. Cut out up to one-third of the oldest branches. They will likely be the thickest and/or tallest. Focus on removing any that didn't bloom this year. If the base is a thicket of stems, cut about a third of those as well, making most of the cuts around the outside of the plant. Keep some pencil-thick shoots in the middle so the shrub doesn't end up as a ring of shoots with an empty center. Thin, whippy stems can be removed. Cut these stems off at the base. Do, however, prune some stems from the center if the plant is congested. This helps air circulate, which reduces the likelihood of disease. Lilacs are prone to powdery mildew, which looks like a gray powder on the leaves. Powdery mildew won't kill the shrub, but can make it less vigorous. Good air circulation helps minimize powdery mildew. If you are really motivated and can reach them, deadhead the spent blossoms. Cut back to the next crotch of the branch. Sometimes a branch of one variety of lilac is grafted onto the rootstock of another. Grafted lilacs are knobby at the base, and the bark of the rootstock will look different from what's above. To prune a grafted plant, cut stems a few inches above the graft, to encourage new growth of the desired variety. Suckers from the rootstock can sprout, and should be cut at their base. You don't want these suckers because any flowers won't come true. It shouldn't be too hard to tell whether the shoots are coming from the variety you want, or the rootstock. 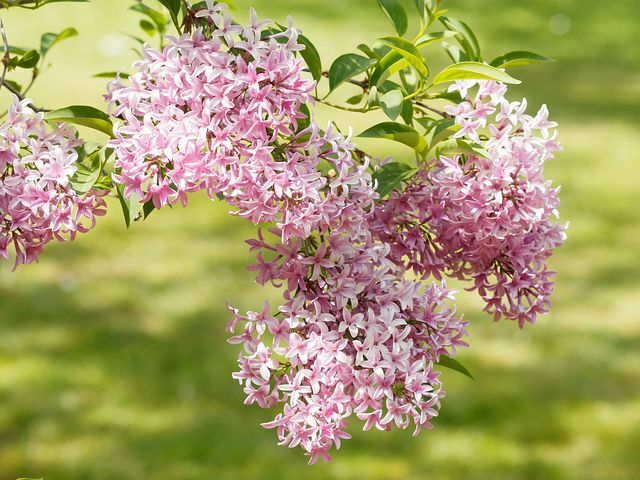 Exceptions to these pruning rules are dwarf lilacs, such as 'Miss Kim' and Meyer lilac, which don't need this kind of heavy pruning. Deadheading is a good idea, however. After a hard pruning, fertilize the shrub, and mulch well, keeping the mulch away from the stems. Of course if you are happy with your lilac's size, shape, and amount of flowers, there's no need to prune. Don't prune for pruning's sake.